Twelve magistrates' and four county courts in Wales are to close to save money, the Ministry of Justice has announced. Abergavenny magistrates court' and Llangefni county court both won a reprieve. Justice Minister Jonathan Djanogly said the reform would help deliver a modern, efficient justice system. But some MPs warned the closures would bring big transport and access problems in reaching courts. Originally, 103 magistrates' courts and 54 county courts in England and Wales were to close, but that figure has been reduced to 93 magistrates' and 49 county courts. Mr Djanogly said: "Access to justice is not just about access to buildings. It's about the type of justice delivered, decent facilities for victims and witnesses and efficient use of the system. "Our court estate has simply not kept pace with the changing nature of our society or with the demands modern society places on our justice system. "An estate of over 500 court buildings is not now necessary or sustainable, nor is it a reasonable expense for the taxpayer." Some money will be spent on improving and modernising Prestatyn magistrates' court. There are currently 38 magistrates courts in Wales and nearly a third will close. Vale of Glamorgan MP Alun Cairns said £1m was spent on Barry magistrates' court last year and its closure was simply wrong. Ceredigion's MP Mark Williams said a huge tract of west Wales would not have access to a magistrates' court after Cardigan's closure. Elfyn Llwyd, MP for Dwyfor Meirionnydd, accused the minister of using "fairytale figures". He said there was one court in his constituency to cover an area 100 miles in every direction. "Is that local justice?" he asked. Cynon Valley MP Ann Clwyd said there was no bus to Merthyr from the Cynon Valley. She invited the minister to catch a local bus with her to find out how difficult transport would be. 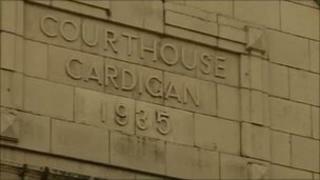 The ministry of justice consulted over the closing of 18 courts in Wales in July. The plans were questioned in October by the senior presiding judge, Lord Judge, who said five should remain open and a further six should be reviewed. The Ministry of Justice plans were part of a wider cost-cutting exercise aimed at saving £37m.